The Medical Center Archives is happy to announce that the Galen S. Wagner Papers are processed and open for research. The collection documents Wagner’s career as a cardiologist at DUMC. 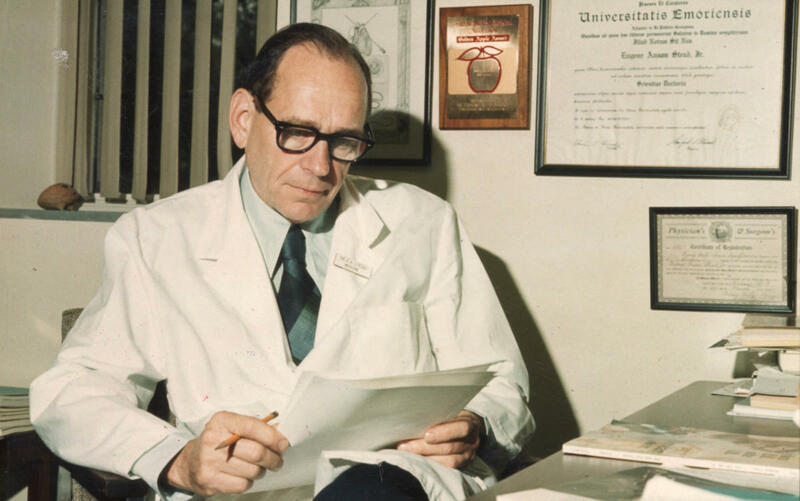 Wagner was the director of the Duke Cardiac Care Unit (CCU) from 1968 to 1981 and was involved with the Myocardial Infarction Research Unit, Duke Cardiology Fellows Program, and Duke University Cardiovascular Society. Materials in the collection date from 1964 to 2008. During his career at Duke Wagner was instrumental in developing the Duke Cardiovascular Databank. 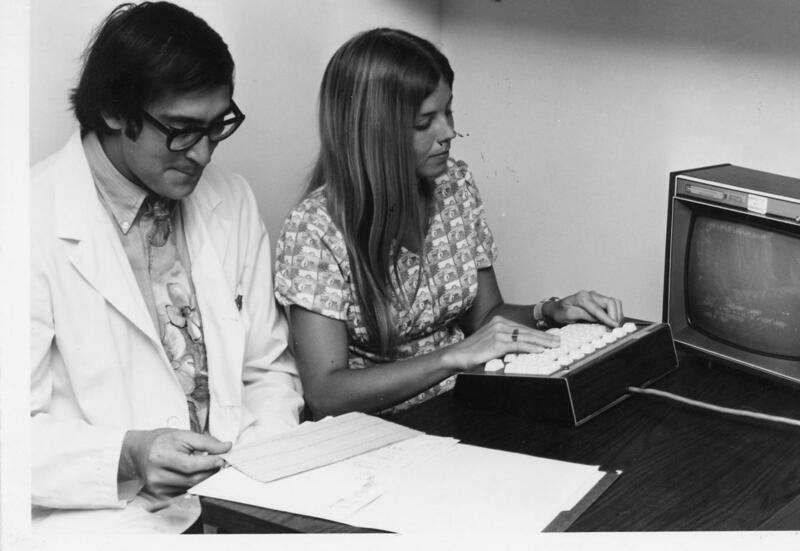 Wagner’s mentor, Dr. Eugene Stead (pictured to the right), began the project in the mid-1960s when he saw the great potential computers offered the medical field. Stead believed that a major weakness of clinical medicine was physician memory, and it could be eradicated with the help of computers. When Wagner became a CCU fellow in July of 1967, he and Dr. Andy Wallace helped compile CCU patient information into the Databank. After less than six months, at just 28 years old, Wagner became the director of the CCU, where he continued to oversee the Databank project. The Databank transformed how Duke cardiologists practiced medicine and led to many breakthrough medical studies. For more information about Wagner’s involvement in the Duke Cardiovascular Databank visit our digital exhibit. During his time at Duke Wagner also helped stabilize Duke’s medical curriculum and pushed to formally establish the research year component, which is still an important part of Duke’s curriculum today. The collection also contains materials pertaining to Duke’s relationship with Cabarrus Memorial Hospital (CMH), located in Cabarrus, North Carolina. CMH was renamed NorthEast Medical Center in 1997 and became Carolinas HealthCare System NorthEast in 2007. In the 1970s, Wagner helped develop the Duke-Cabarrus Professional Education Program. The collection contains almost 30 years of records concerning the operations of this community outreach program. This collection contains materials that cover a wide range of topics and should be of interest to anyone researching Duke medical education, cardiology, and medical innovation. To learn more about these materials, visit the finding aid or contact the archives staff. This blog post was contributed by Archives Intern Caroline Waller.